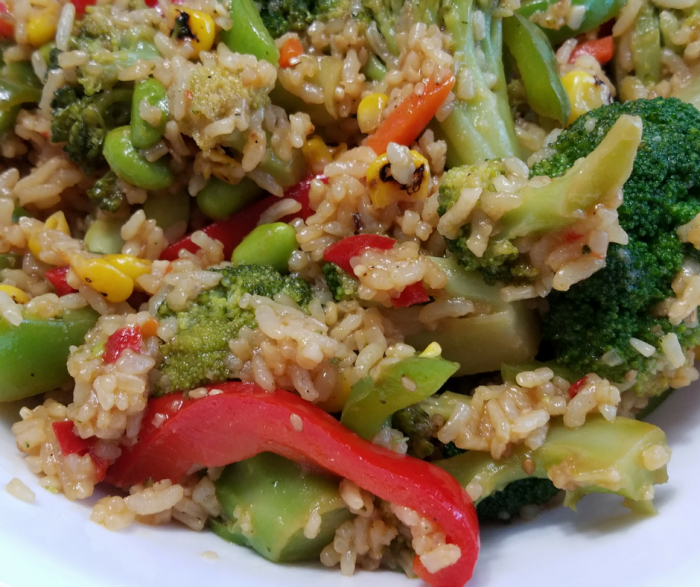 This Lazy Vegan Fried Rice recipe is the result of a great collaboration with our sponsor Ling Ling. If you’ve been around for long, you know that I love Asian inspired foods. Rice, pasta, etc. are a staple in our pantry. 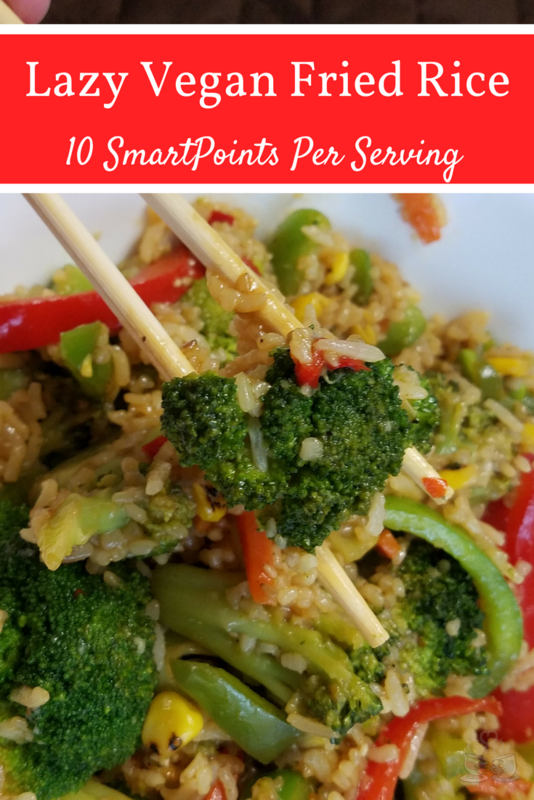 However, sometimes I just don’t have time to wait the half hour or longer for rice to cook, then, of course, do all the work to fry it to make a yummy fried rice dish. That’s how this super easy and delicious recipe came about! Since I began my plant-based diet journey a few months ago, I have found that meal prep can be even more time-consuming. I work from home, so this makes it easier, but some nights I just don’t want to be in the kitchen for an hour. So, easy but healthy convenience foods are a must. The best part of this vegan fried rice recipe is that everyone in our house loves it. I don’t have to worry about making a second meal! 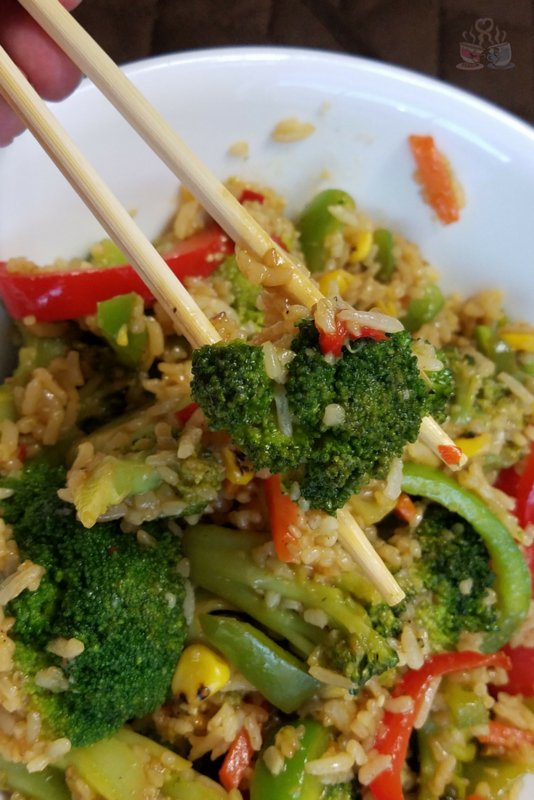 Ling Ling Fried Rice comes in multiple flavors, but the Chinese Style Vegetable Fried Rice is totally vegan and fits easily into my personal diet plan. Each box comes with 2 large servings, and they are separated in individual bags so it is super easy to make just one portion at a time if you want. In the recipe below, I am using both servings to feed our whole family. By adding a few extra ingredients I can make this a meal that is suitable for feeding 4-6 people instead of just 2. 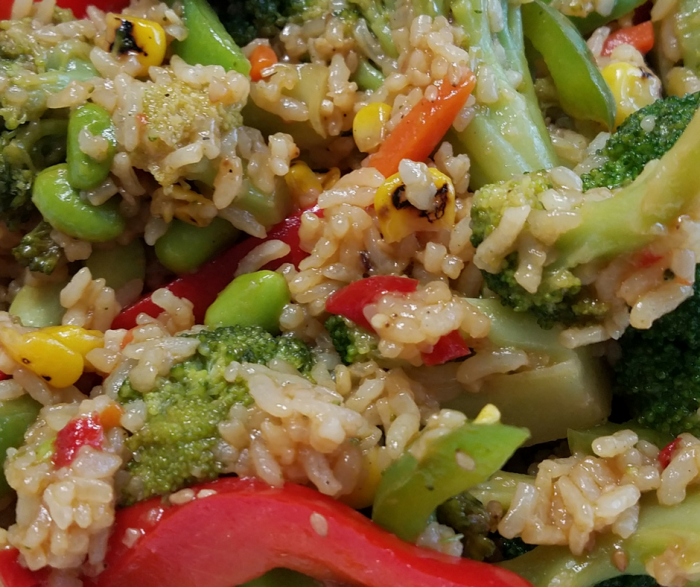 In large wok or skillet, heat sesame oil, broccoli, and red bell peppers. Stir constantly until just tender, approximately 3-4 minutes. Pour in stir-fry sauce and teriyaki sauce and continue cooking 2 minutes. Add in 2 packages (1 box, but 2 bags) of Ling Ling Chinese Style Vegetable Fried Rice. Mix well and continue cooking, stirring occasionally, for another 10 minutes. Add in 2 packages (1 box, but 2 bags) of Ling Ling Vegetarian Fried Rice. The Ling Ling Chinese Style Vegetable Fried Rice comes complete with already cooked rice, that has been seasoned. It includes roasted red pepper pieces and roasted corn, along with high-protein and delicious edamame. It’s great by itself, but to make a box go a bit further and add more heft, I love doing this. Adding in extra vegetables makes it a delicious meal that has tons of nutrition and is satiating for my plant-based needs. Right now, you can pick up Ling Ling Fried Rice in the following flavors: Yakitori Chicken, Yakiniku Beef, Thai-Style Chicken, Chinese-Style Vegetable, Bibimbap Beef. Right now, when you make a purchase of one of the above mentioned Ling Ling Fried Rice options in the freezer section of your local grocery store, you can use a $2 off coupon! Grab the coupon and try out your favorite flavor of Ling Ling Fried Rice for your own lazy fried rice recipe! Check out our video of how we throw this meal together below! I will love your Vegan Fried Rice, it looks awesome! Thanks so much for sharing your special post with us at Full Plate Thursday this week. Hope you have a great week and come back to see us real soon!